British researchers of the Max Delbrück Center for Molecular Medicine (MDC) Berlin-Buch have found out why the African naked mole-rat (Heterocephalus glaber), one of the world's most unusual mammals, feels no pain when exposed to acid. African naked mole-rats live densely packed in narrow dark burrows where ambient carbon dioxide (CO2) levels are very high. In body tissues, CO2 is converted into acid, which continuously activates pain sensors. However, naked mole-rats are an exception: they have an altered ion channel in their pain receptors that is inactivated by acid and makes the animals insensitive to this type of pain. Dr. Ewan St. John Smith and Professor Gary Lewin conclude that this pain insensitivity is due to the African mole-rats' adaptation to their extreme habitat over the course of evolution. The results are published in the December 16, 2011 issue of Science. The Nav1.7 sodium ion channel plays a key role in the transmission of painful stimuli to the brain. It triggers a nerve impulse (action potential) in the pain receptors – sensory nerve cells, the endings of which are found in the skin and which transmit pain signals to the brain. Dentists already use sodium ion channel blockers in the form of local anesthetics, but these target all sodium ion channels they come into contact with, not just the Nav1.7 ion channel. People with defective Nav1.7 ion channels due to a genetic mutation feel no pain, but for them, pain insensitivity is not at all an advantage; minor injuries or infections can go unnoticed, often with serious consequences. However, this is different for the African naked mole-rat. For these animals, pain insensitivity to acid is evidently a survival advantage. Using a mouse model, Heidelberg University Hospital researchers have for the first time successfully treated a severe congenital disorder in which sugar metabolism is disturbed. The team headed by Professor Christian Körner, group leader at the Center for Child and Adolescent Medicine, demonstrated that if female mice are given mannose with their drinking water prior to mating and during pregnancy, their offspring will develop normally even if they carry the genetic mutation for the congenital disorder. The team’s outstanding work will contribute to better understanding of the molecular processes of this metabolic disease, along with the key stages in embryonic development, and may offer a therapeutic approach for the first time. The Heidelberg-based researchers also collaborated with colleagues working with Professor Hermann-Josef Gröne of the German Cancer Research Center (DKFZ)’s Division of Cellular and Molecular Pathology in Heidelberg. Their results were published online on December 11, 2011 in Nature Medicine in advance of their publication in the print edition of that journal. So far, 1,000 children worldwide are affected by congenital disorders of glycosylation (CDG), which are classified as rare diseases. Affecting around 800 children, type CDG-Ia is most frequent. The number of unreported cases is high, however. Children with CDG are severely physically and mentally disabled, with approximately 20 percent dying before the age of two. To date, no therapy has been available to treat the disorder. CDG-Ia is caused by mutations in the genetic information for the enzyme phosphomannomutase 2 which is involved in important glycosylation processes: mannose-1-phosphate is not produced in sufficient quantities. A compound produced from fish oil that appears to target leukemia stem cells could lead to a cure for the disease, according to Penn State researchers. The compound -- delta-12-protaglandin J3, or D12-PGJ3 -- targeted and killed the stem cells of chronic myelogenous leukemia (CML) in mice, said Dr. Sandeep Prabhu, associate professor of immunology and molecular toxicology in the Department of Veterinary and Medical Sciences. The compound is produced from EPA -- eicosapentaenoic Acid -- an omega-3 fatty acid found in fish and in fish oil, he said. "Research in the past on fatty acids has shown the health benefits of fatty acids on cardiovascular system and brain development, particularly in infants, but we have shown that some metabolites of omega-3 have the ability to selectively kill the leukemia-causing stem cells in mice," said Dr. Prabhu. "The important thing is that the mice were completely cured of leukemia with no relapse." The researchers, who released their findings in the December 22, 2011 issue of Blood, said the compound kills cancer-causing stem cells in the mice's spleen and bone marrow. Specifically, it activates a gene -- p53 -- in the leukemia stem cell that programs the cell's own death. "p53 is a tumor suppressor gene that regulates the response to DNA damage and maintains genomic stability," Dr. Prabhu said. Killing the stem cells in leukemia, a cancer of the white blood cells, is important because stem cells can divide and produce more cancer cells, as well as create more stem cells, Dr. Prabhu said. 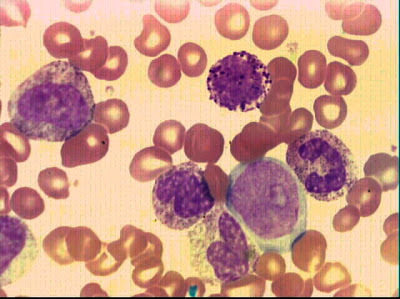 The current therapy for CML extends the patient's life by keeping the number of leukemia cells low, but the drugs fail to completely cure the disease because they do not target leukemia stem cells, said Dr. It's rubbed on the skin to reduce signs of aging and consumed by athletes to improve endurance, but scientists now have the first evidence of one of vitamin E's normal body functions. The powerful antioxidant found in most foods helps repair tears in the plasma membranes that protect cells from outside forces and screen what enters and exits, Georgia Health Sciences University (GHSU) researchers reported on December 20, 2011 in the journal Nature Communications. Everyday activities such as eating and exercise can tear the plasma membrane and the new research shows that vitamin E is essential to repair. Without repair of muscle cells, for example, muscles eventually waste away and die in a process similar to what occurs in muscular dystrophy. Muscle weakness is also a common complaint in diabetes, another condition associated with inadequate plasma membrane repair. "Without any special effort we consume vitamin E every day and we don't even know what it does in our bodies," said Dr. Paul McNeil, GHSU cell biologist and the study's corresponding author. He now feels confident about at least one of its jobs. Century-old animal studies linked vitamin E deficiency to muscle problems, but how that happens remained a mystery until now, Dr. McNeil said. His understanding that a lack of membrane repair caused muscle wasting and death prompted Dr. McNeil to look at vitamin E. Vitamin E appears to aid repair in several ways. As an antioxidant, it helps eliminate destructive byproducts from the body's use of oxygen that impede repair. Because it's lipid-soluble, vitamin E can actually insert itself into the membrane to prevent free radicals from attacking. It also can help keep phospholipids, a major membrane component, compliant so they can better repair after a tear. Inner Mongolia and Shenzhen, China – Inner Mongolia Agricultural University (IMAU), Inner Mongolia University for the Nationalities (IMUN), and BGI, the world's largest genomics organization, jointly announced the first complete sequencing of a Mongolian genome. This genomic study will help researchers to better understand the evolutionary process and migration of Mongolians and their ancestors from Africa to Asia, which also lays an important genomic foundation for further development of human genetic diseases research. Today, Mongol is a central Asian ethnic group mostly living in Mongolia, Inner Mongolia in China, and Buryatia in Russia with about ten millions ethnic Mongol people. Tracing back to the 13th and 14th Century, the "Mongol Empire" was commonly referred as the "largest contiguous empire" in world history, and it has stretched its territory from the Yellow Sea in eastern Asia to the borders of eastern Europe under the leadership of Genghis Khan and his descendants. The vast empire had promoted exchange of new technology, commodities, and culture, as well as trade and migration between different ethnic groups across Europe and Asia. 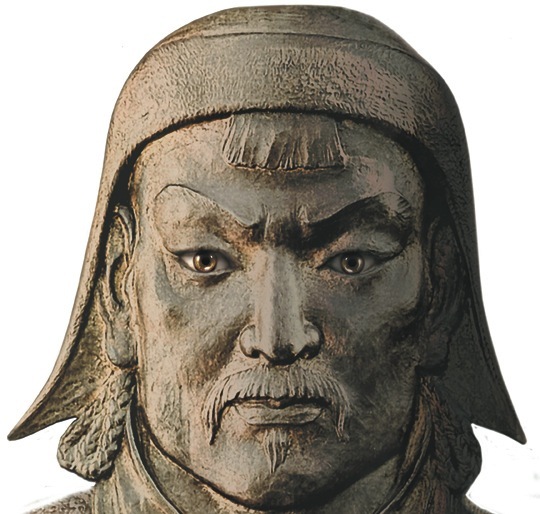 The migration of Mongols in Eurasia Region including China, Middle East, and Russia during the period of the Mongol Empire has always been debated by scientists. The study of Monlogian genome will provide new insights on the Mongols’ potential impact on the human evolution at the genetic level. In this study, the DNA sample was from a male adult who belongs to the Mongolian "Royal Family" and is the 34th generation descendant of Genghis Khan. Known for her poetry, letters, love affair and marriage to Robert Browning, Elizabeth Barrett Browning also left a legacy of unanswered questions about her lifelong chronic illness. Now, a Penn State anthropologist, with the aid of her daughter, may have unraveled the mystery. Born in 1806, Barrett Browning suffered throughout her life from incapacitating weakness, heart palpitations, intense response to heat and cold, intense response to illnesses as mild as a cold, and general exhaustion in bouts that lasted from days to months or years. Her doctors were unable to diagnose or treat her illness, which apparently first appeared around age 13. "Conjectures by modern biographers about Barrett Browning's condition include anorexia nervosa, neurasthenia; tuberculosis; pertussis, an encephalomyelitis; non-paralytic poliomyelitis; paralytic scoliosis, or the lifetime effects of injuries to her spine from falling from her horse in early adolescence; opium addiction; and mental illness, including anxiety and agoraphobia," Dr. Anne Buchanan, research associate in anthropology at Penn State, reports in the Autumn 2011 issue of Perspectives in Biology and Medicine. Some have even attributed her illness to defense against the inferior status and treatment of Victorian women, or simply to malingering. Ellen Buchanan Weiss, Dr. Buchanan's daughter, noted the symptoms recorded in Barrett Browning's letters because the symptoms seemed so similar to those that she experienced. Buchanan Weiss has hypokalemic periodic paralysis (HKPP), a muscle disorder that causes blood levels of potassium to fall because potassium becomes trapped in muscle cells. The disorder was first described in 1874 in German and then in 1901 in English. Barrett Browning died in 1861, long before physicians would have any idea of HKPP. A new drug candidate may be the first capable of halting the devastating mental decline of Alzheimer's disease, based on the findings of a study published December 14, 2011 in PLoS ONE. When given to mice with Alzheimer's, the drug, known as J147, improved memory and prevented brain damage caused by the disease. The new compound, developed by scientists at the Salk Institute for Biological Studies, could be tested for treatment of the disease in humans in the near future. "J147 enhances memory in both normal and Alzheimer's mice and also protects the brain from the loss of synaptic connections," says Dr. David Schubert, the head of Salk's Cellular Neurobiology Laboratory, whose team developed the new drug. "No drugs on the market for Alzheimer's have both of these properties." Although it is yet unknown whether the compound will prove safe and effective in humans, the Salk researchers' say their results suggest the drug may hold potential for treatment of people with Alzheimer's. As many as 5.4 million Americans suffer from Alzheimer's, according to the National Institutes of Health. More than 16 million will have the disease by 2050, according to Alzheimer's Association estimates, resulting in medical costs of over $1 trillion per year. The disease causes a steady, irreversible decline in brain function, erasing a person's memory and ability to think clearly until they are unable to perform simple tasks such as eating and talking, and it is ultimately fatal. Alzheimer's is linked to aging and typically appears after age 60, although a small percentage of families carry a genetic risk for earlier onset. Among the top ten causes of death, Alzheimer's is the only one without a way to prevent, cure, or slow disease progression. Insulin signaling is altered in the pancreas in type 2 diabetes, a new study shows for the first time in humans. The errant signals disrupt both the number and quality of beta cells — the cells that produce insulin. The finding was published online on November 30, 2011 in the journal PLoS ONE. Dr. Franco Folli, of the School of Medicine at The University of Texas Health Science Center San Antonio, and Dr. Rohit Kulkarni, of the Joslin Diabetes Center, Harvard Medical School, Boston, are principal investigators of the study. In a statement, they said, "People knew there was a lack of beta cells because they die off in type 2 diabetes. Here we show the beta cells attempt to replicate, but this is unsuccessful because of the altered signals." Inability of the beta cells to replicate themselves results in a major defect in insulin secretion during the late stages of type 2 diabetes, said Drs. Folli and Kulkarni. Insulin is the hormone that lowers blood sugar after a meal. The study, which examined pancreases from cadaveric organ donors, suggests a potential strategy to prevent beta cells from being depleted — by restoring insulin signals back to normal. This could have important implications for millions of people with type 2 diabetes, a disease marked by poor regulation of blood sugar levels. 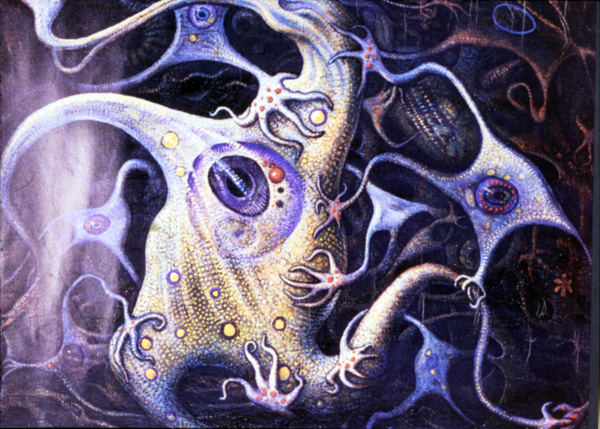 Cells in most organs, except the central nervous system, turn over in cell division. One cell dies and another replicates to perform the same function. This is true in the islets of Langerhans, the area of the pancreas where beta cells and other blood glucose regulators originate. The new study also demonstrated, for the first time in humans, that the insulin receptor is critically important for maintaining beta cell mass. This had previously been seen in rodent knock-out models of type 2 diabetes mellitus. Using a new mathematical methodology, researchers at MIT have created a scientifically rigorous analogy that shows the similarities between the physical structure of spider silk and the sonic structure of a melody, proving that the structure of each relates to its function in an equivalent way. The step-by-step comparison begins with the primary building blocks of each item — an amino acid and a sound wave — and moves up to the level of a beta sheet nanocomposite (the secondary structure of a protein consisting of repeated hierarchical patterns) and a musical riff (a repeated pattern of notes or chords). The study explains that structural patterns are directly related to the functional properties of lightweight strength in the spider silk and, in the riff, sonic tension that creates an emotional response in the listener. While likening spider silk to musical composition may appear to be more novelty than breakthrough, the methodology behind it represents a new approach to comparing research findings from disparate scientific fields. Such analogies could help engineers develop materials that make use of the repeating patterns of simple building blocks found in many biological materials that, like spider silk, are lightweight yet extremely failure-resistant. The work also suggests that engineers may be able to gain new insights into biological systems through the study of the structure-function relationships found in music and other art forms. The MIT researchers — Dr. David Spivak, a postdoc in the Department of Mathematics, Associate Professor Dr. Markus Buehler of the Department of Civil and Environmental Engineering (CEE), and CEE graduate student Tristan Giesa — published their findings in the December issue of BioNanoScience. New discoveries in “marine forensics” by researchers at the Virginia Institute of Marine Science (VIMS) will allow federal seafood agents to genetically test blue marlin to quickly and accurately determine their ocean of origin. The test is needed to ensure that the blue marlin sold in U.S. seafood markets were not taken from the Atlantic Ocean. The import and sale of blue marlin from the Pacific or Indian oceans is legal in the U.S., while the marketing of Atlantic blues can bring civil or criminal penalties, including fines, seizure of a catch, or the loss of a fishing permit. Regulation of Atlantic blue marlin reflects overfishing and a troubling drop in population within Atlantic waters. Blue marlin—magnificent billfish that can grow to 13 feet long and weigh up to 2,000 pounds—are frequently taken as by-catch in tuna and swordfish fisheries, and are also targeted by recreational anglers. Marlin is sold in restaurants, and at stands in the Caribbean as barbecued fish-on-a-stick or as filling for fish fritters. The VIMS research team—graduate student Laurie Sorenson, molecular biologist Dr. Jan McDowell, and professor John Graves—reports the findings of their study, “Isolation and characterization of microsatellite markers for blue marlin, Makaira nigricans,” in a recent issue of Conservation Genetics Resources(Volume 3, Issue 4, 2011). Ms. Sorenson completed the work as part of her Master’s research in the College of William and Mary’s School of Marine Science at VIMS, with Dr. Graves and Dr. McDowell as her co-advisors. Dr. Graves, who chairs the U.S. Advisory Committee to the International Commission for the Conservation of Atlantic Tunas (ICCAT), says, “Blue marlin from the Atlantic can be illegally marketed as originating from the Indo-Pacific stock, which is currently unregulated.